RB-400 for Sale in Salem, MA | BRAKE & CLUTCH INC. 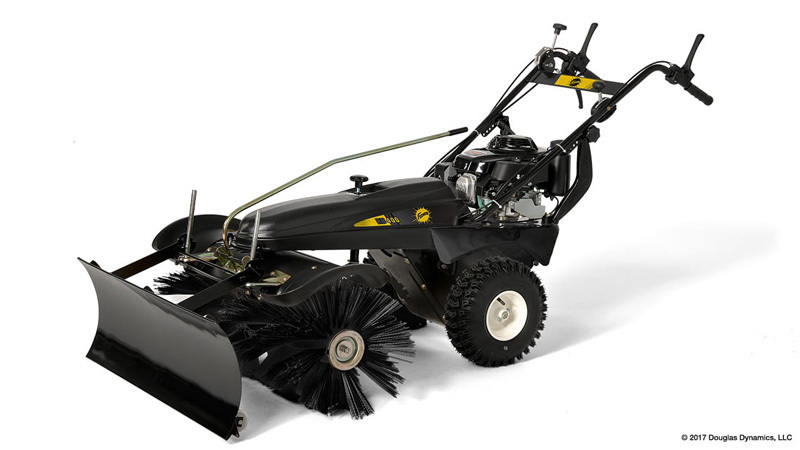 The FISHER® RB-400 walk-behind rotary broom helps get walkways cleaner by scraping and sweeping snow all the way down to the surface. It's also perfect for areas that are tight up to buildings, curbs or edging. Whether it's just a light dusting, heavy wet snow or compacted snow that was walked on or driven on before you got to the job, the walk-behind rotary broom will take care of the situation quickly and leave you with a clean that is unmatched. Snow Blade Width Wide: 40" Angled: 37"